You want to experience the last remaining pristine forests and alpine meadows of Nepal like the Barun valley? Are you interested to see one of the highest peaks of the eastern Himalaya? 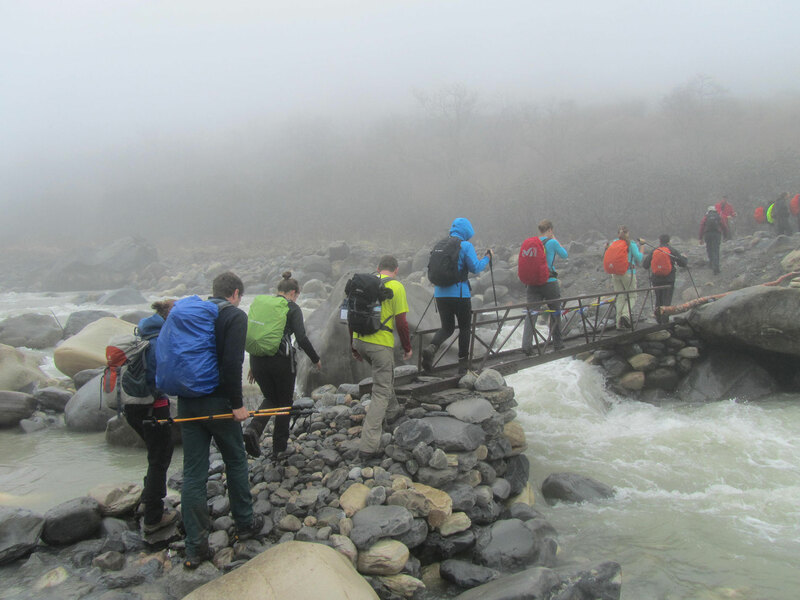 Then we give you the Makalu trek, which originates from the bottom of the Arun valley. Above you see the giant Himalayas and especially the ever snow-capped top of Makalu at8463m. This beautiful Barun area has some of the richest and most diverse plants and animal life in Nepal, and can only be found here! But also witness the rich cultural communities of the Rai, Sherpa, and Shingsawa farmers. Although they could be seen as economically poor or isolated, their culture enriches them by a long and strong heritage. In a way, they are so important because They still express the saving of this unique biological and cultural treasures of the area. More than 3.000 species of flowering plants, with hundreds of orchid varieties, 48 sorts primroses and 25 of Nepal’s 30 rhododendrons they fill all the colors of the valley and hillsides. Animals like the endangered red panda and musk deer can be found and seen here, also the ghoral, Himalayan tahr, and leopard. And if you see a bird, remember there are here 400 bird species, with extremely rare species among them. Arrival and transfer to hotel, after some refreshment, we will invite for typical Nepali welcome dinner.